“Now the serpent was more subtle than any beast of the field which Jehovah God had made. And he said to the woman, Yes, has God said, You shall not eat of every tree of the garden? And the woman said to the serpent, We may eat of the fruit of the trees of the garden: But of the fruit of the tree which is in the middle of the garden, God has said, You shall not eat of it, neither shall you touch it, lest you die. And the serpent said to the woman, You shall not surely die: For God does know that in the day you eat thereof, then your eyes shall be opened, and you shall be as God, knowing good and evil” (Genesis 3:1-5). “Why do you not understand My speech? even because you cannot hear My word. You are of your father the devil, and the lusts of your father you will do. He was a murderer from the beginning, and stayed not in the truth, because there is no truth in him. When he speaks a lie, he speaks of his own: for he is a liar, and the father of it” (John 8:43-44). When the earth did not yet exist, the archangel was the greatest of heaven’s angels. It had jurisdiction over all the angels in heaven; this was the authority that God granted it. With the exception of God, it was the greatest of heaven’s angels. When God later created humanity, the archangel carried out a greater betrayal toward God upon the earth. I say it betrayed God because it wanted to manage humanity and to surpass God’s authority. It was the archangel that tempted Eve into sin; it did so because it wished to establish its kingdom upon earth and to make humanity betray God and obey it instead. It saw that there were many things that obeyed it; the angels obeyed it, as did the people upon the earth. The birds and beasts, trees, forests, mountains, rivers and all things upon the earth were under the care of man—that is, Adam and Eve—while Adam and Eve obeyed it. The archangel thus desired to surpass God’s authority and to betray God. Later on it led many angels to betray God, which then became various unclean spirits. Has not humanity’s development to this day been caused by the archangel’s corruption? Humanity is only the way it is today because the archangel betrayed God and corrupted humanity. First God created Adam and Eve, and He also created a snake. Among all things, the snake was the most poisonous; its body contained venom, and Satan used this venom to utilize it. It was the snake that tempted Eve to sin. Adam sinned after Eve did, and the two of them were then able to distinguish between good and evil. All that disobeys God comes from Satan; Satan is the source of all ugliness and wickedness. The reason that man has qualities alike those of Satan is because man has been corrupted and worked on by Satan. … Mankind’s souls are all within Satan’s grasp. As such, it goes without saying that man’s flesh has also been occupied by Satan. How could flesh such as this and humans such as this not resist God and be innately compatible with Him? The reason Satan was cast down by Me into the air is because it betrayed Me, so how could humans extricate themselves from the repercussions of this? This is the reason that human nature is betrayal. Satan corrupts people through the education and influence of the national governments and the famous and great. Their nonsense has become man’s life and nature. “Everyone for himself and the devil take the hindmost” is a well-known satanic saying that has been instilled into everyone and has become people’s lives. There are other words of life philosophy that are also like this. Satan uses each nation’s fine traditional culture to educate people, causing humanity to fall into and be engulfed in a boundless abyss of destruction, and in the end people are destroyed by God because they serve Satan and resist God. Little does man know that, though the wings of the fly are beautiful and enchanting, it is after all no more than a minuscule fly that is full of filth and covered with germs. On the strength of their pigs and dogs of parents, they run amok across the land (this refers to the religious officials who persecute God on the basis of strong support from the country betraying the true God and the truth) with overwhelming ferocity. It is as if the ghosts of the Jewish Pharisees have returned along with God to the nation of the great red dragon, back to their old nest. They have again begun their work of persecution, continuing their work spanning several thousand years. This group of degenerates is sure to perish on earth in the end! It appears that, after several millennia, the unclean spirits have become even more crafty and sly. They constantly think of ways to secretly undermine the work of God. They are wily and cunning and wish to replay in their homeland the tragedy of several thousand years ago. This almost goads God into giving out a loud cry, and He can hardly keep Himself from returning to the third heaven to annihilate them. Let’s think back to when Satan first corrupted mankind. What did the ancient serpent say? What was it that God said? He told people: “But of the tree of the knowledge of good and evil, you shall not eat of it: for in the day that you eat thereof you shall surely die” (Gen 2:17). And what did Satan say? It said: God didn’t mean that you’ll definitely die from eating the fruit from that tree. It first denied God’s words, and after doing that it added some other things to deceive people. As a result, people became corrupted by Satan. The way that Satan deceived Eve is the same way that Satan and every kind of evil spirit deceive and corrupt mankind. 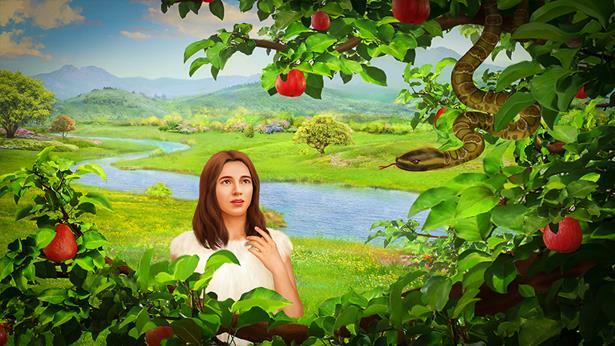 Satan deceived Eve by means of speaking through the serpent. In fact, the serpent was being controlled by Satan the evil spirit, so it’s not that all of mankind has been corrupted by just that one serpent—there have been many evil spirits who have corrupted mankind through all kinds of people and all kinds of animals, or they have directly spoken from within people. No one knows how many people among mankind have been subject to the direct corruption of evil spirits, and who have directly encountered the words, the voices of Satan the evil spirit. We must realize that all of mankind’s corruption has not just been carried down from Adam and Eve. It’s more the case that during the thousands of years, Satan and all kinds of evil spirits have been working on corrupted mankind. Those who are currently possessed by demons, who are controlled by evil spirits, aren’t those evil spirits always speaking to them? There’s no way to count how many people receive the words of evil spirits! There are just too many. It certainly has not been Eve alone. Currently many believers, after being possessed by Satan or evil spirits, are dispatched to the house of God to disrupt His work and deceive His chosen people. We can see that there are a number of people in the church who have the work of evil spirits. They say: “I was praying yesterday, and God said this or that to me. I was praying yesterday, and this is how the Spirit revealed to me, this is what He said to me.” He prays whenever he encounters an issue, and as soon as he does so, evil spirits start to work in him, and they speak to him. Isn’t this Satan corrupting people? What’s the difference between this method and Eve being corrupted by Satan? There’s no difference at all. They are entirely the same. Eve was corrupted by Satan just once, and its toxins got inside. She started to deny the words of God and always maintained an attitude of suspicion toward His words. There are many people who have been possessed by demons who have been corrupted by Satan many times. It’s not an issue of whether it’s dozens of times or hundreds of times—it’s that Satan or evil spirits are permanently residing within them, until death! When there are evil spirits residing within a person, he takes in so much of what Satan says, and he’s corrupted by Satan to such an extent, so when he prays, it’s always evil spirits instructing him to do this or that. On the outside, he, when communicating with brothers and sisters, speaks of the words of God, but after that he gives his own explanation, his own views and his understanding. Aren’t his views the same strategy as the serpent deceiving Eve? When someone who has been possessed by evil spirits or by demons has fellowship with brothers and sisters, that is the fellowship of Satan denying God’s words. It is the fellowship of Satan deceiving mankind. Anyone who has frequent contact with someone who is possessed by an evil spirit will be disrupted by their words. When you hear them speak, you’ll feel unsettled in your heart and develop doubts toward God’s words, and you’ll lose hold of your correct understanding. That is how evil spirits corrupt people. They don’t just use all sorts of books, education, and theories to poison people, but even more, many evil spirits reside within people and deceive them. They control them in order to deceive people, and they use people to deceive other people. In the last days, Satan’s methods of corrupting mankind are a multitude, and they are all too common. So if you do not have the truth, you will have no way to discern this. The great red dragon is the most dangerous evil force in this world today, and it is also the poisonous root of all evil forces. 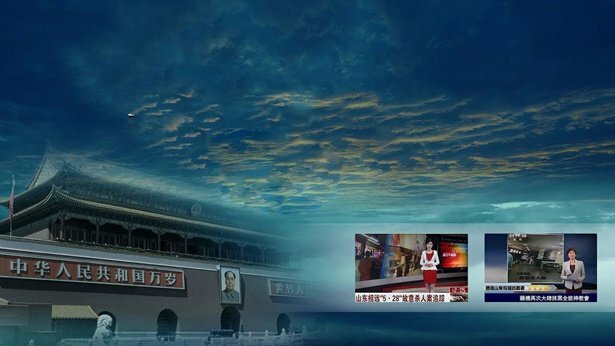 Whichever place the great red dragon is in power, that place is engulfed in war, it is engulfed in class struggle, it is engulfed in killings and persecutions, it is engulfed in lies and deception, and it is engulfed in plagues and all kinds of natural and man-made disasters. Whichever place the black hand of the great red dragon appears, evil forces run amok and all kinds of disaster are right around the corner. The great red dragon is the root of all darkness and evil. The great red dragon is guilty of the most heinous crimes, and all that it has ever said and done is to mislead, deceive, corrupt, ruin, and slaughter people. All that the great red dragon preaches and promotes is all heresies and fallacies, garbage that misleads and corrupts people. … All the negative things engendered by the great red dragon are all tools used by Satan to deceive, corrupt, and bind people. 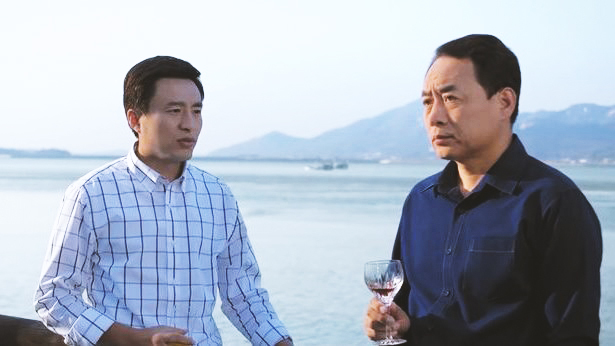 All those things which the great red dragon promotes and advocates and requires people to follow are negative things. The entire corrupt mankind has been deceived and bound by these negative things, to the point that it can no longer distinguish between truths and fallacies, between light and darkness, and is stuck inside evil and unable to extricate itself. 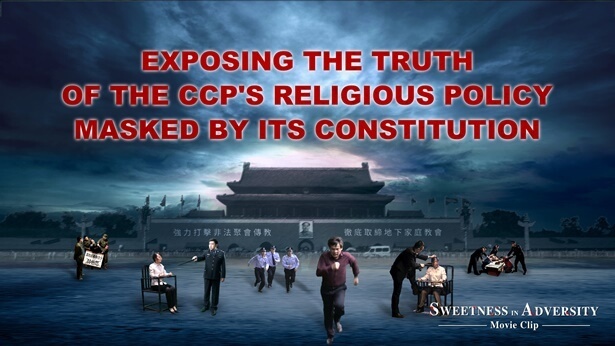 Next： Why does the CCP government so madly suppress and brutally persecute Almighty God and The Church of Almighty God? 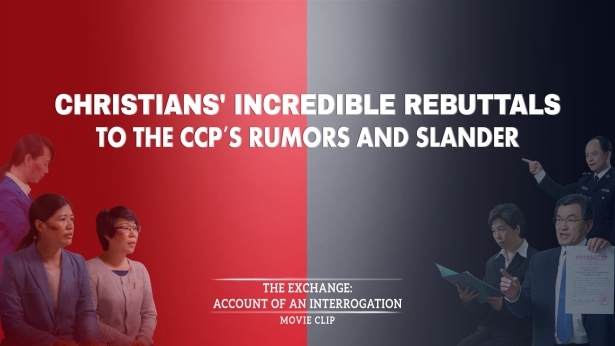 The Chinese Communist court distorted the facts, framed, smeared, and disregarded the facts and the law by blaming this murder case on the Church of Almighty God. 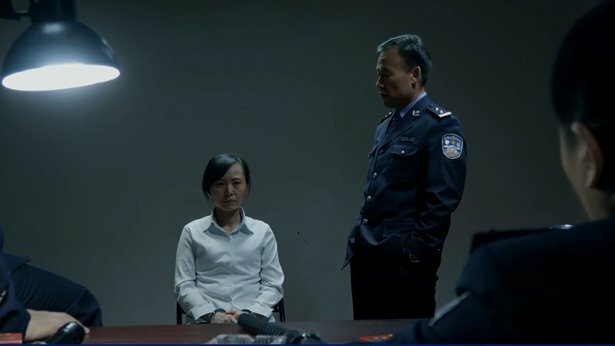 The Chinese Communist government also used the media to publicly report the case in a high-profile. The discerning can see that this was another false case carefully crafted by the Chinese Communist Party. 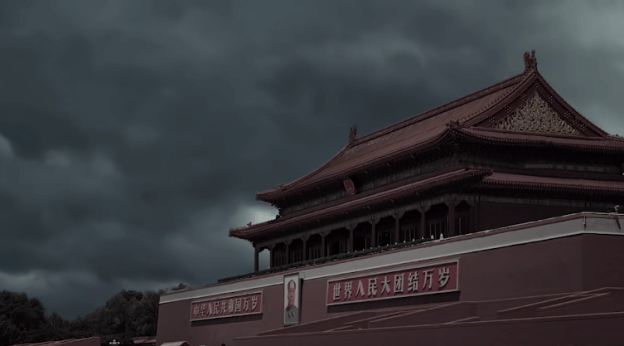 What was the purpose of the CCP in doing so? Smart people can see that this was the fabrication of public opinions to suppress and persecute the Church of Almighty God.